Geneva Round Table on Sahara, an Opportunity for Confidence-Building Promotion? The round table on the Sahara, scheduled for Dec.5-6 in Geneva, offers the opportunity to promote confidence-building, said Monday the Secretary of State for Foreign Affairs, Mounia Boucetta. Security Council Resolution 2440, adopted on 31 October 2018, marks a significant step forward, especially as it stresses the need to open a new chapter in the settlement process with a view to reaching a political, consensual, realistic and lasting solution, said Ms Boucetta during the question time at the House of Representatives. She recalled that the resolution confirmed Algeria’s involvement and role as a party to the regional dispute over the Sahara and as a main stakeholder in the process aiming to find a political, realistic, practical and lasting solution to the conflict. She noted that the text dealt a serious blow to the “liberated territories myth” sustained by the Polisario as it urged the separatist front to abstain from transferring any structure to the east of the defense system, including in Guergarat, Tifariti and Bir Lahlou. The fact that these zones be cited for the first time in a Security Council resolution reveals the credibility of the Moroccan position, the Secretary of State said. The same resolution reaffirms the parameters of the political process, as defined since 2007, and recognizes the pre-eminence of the autonomy initiative, while welcoming the Kingdom’s serious and credible efforts to reach a political solution to this artificial conflict, Mrs Boucetta told MPs. In his invitation to the “initial round table” to revive the talks on the Sahara, the UN envoy had underlined, “It is time to open a new chapter in the political process”. Morocco immediately accepted the invitation and is dispatching to Geneva a delegation including Foreign Minister Nasser Bourita; Morocco’s permanent representative to the UN Omar Hilale; President of Laayoune-Sakia El Hamra region Sidi Hamdi Ould Errachid; President of Dakhla-Oued Eddahab region Ynja Khattat; and Fatima Adli, an associative actor and member of the municipal council of Smara. This “round table” is a preliminary meeting that would hopefully outline a roadmap for the future, knowing that the Sahara conflict threatens the stability and security of the entire region. 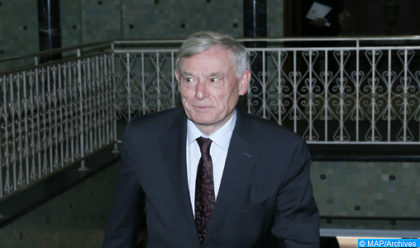 Actually, one may be upbeat that Horst Köhler would move the lines in Geneva, however, in view of the bad faith repeatedly shown by Algeria and its doubtful willingness to play its role as a stakeholder in the conflict, the glimpse of hope soon fades away.